A slider is very important for your website. Whether it is an ecommerce website or a news blog, slider makes it easy to show the most important and featured content in the first glimpse. But here is the problem, there are tons of slider plugins for WordPress out there that it is hard to find the best one based on your needs. 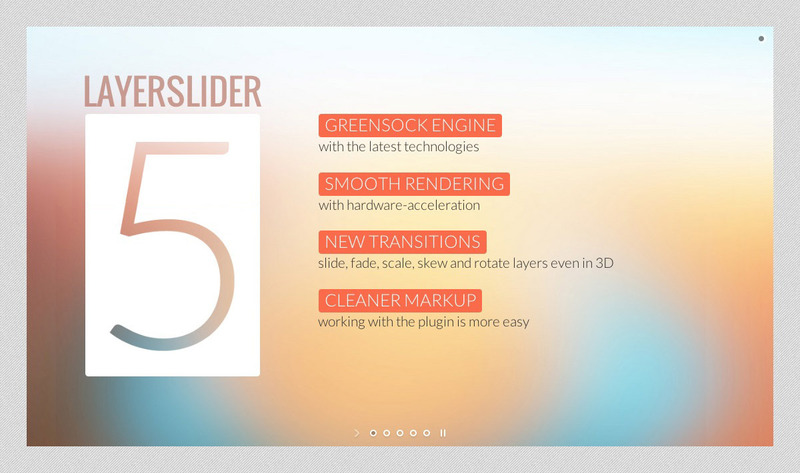 In this article, we will share with you 4 of the top slider plugins which are all great. You can easily choose one out of these and get started with it in minutes. 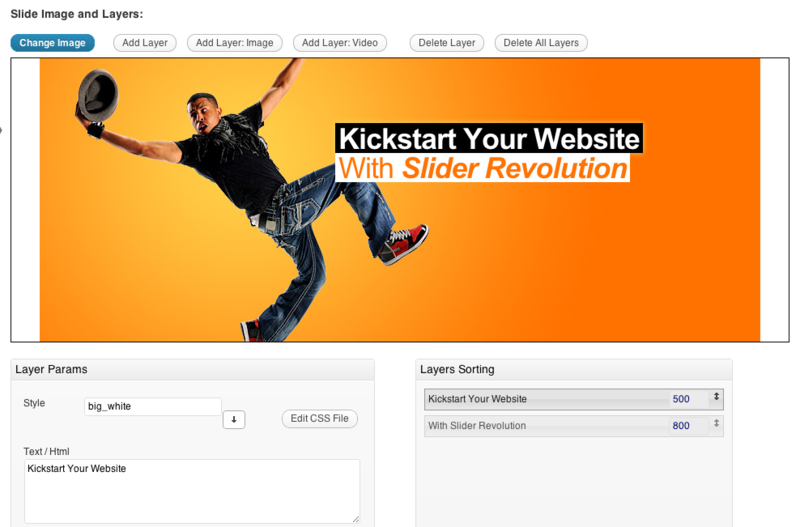 Slider Revolution has become one of the most famous WordPress slider plugin because of its great features. There are many options for customizing the look and working of the slider. Options include creating multiple layers in a slide and they can be managed easily just by dragging. Each layer can even have a background image or a color or can even be a YouTube or Vimeo video! It’s as simple as a few clicks and that’s all it takes to build your slides. There are many cool features including the integration of Google Fonts, post-based slider and a high quality touch-based interface which lets users on mobile device easily browse through the slider. This plugin is also compatible with WPML and Multi-site installations. The built-in visual editor makes it easy to edit slides and the timeline option allows you to change when and for how long a slide should appear. The ability to create many types of sliders including post-slider and full-screen slider makes it a very powerful plugin. Slider Revolution also allows you to import or export a slider which is really a great feature making it easy to copy the slider across multiple websites. LayerSlider Responsive is a WordPress plugin with many great features. It is among few of the most popular premium WordPress sliders. With over 200 cool slider transitions, you will never have to install another slider plugin just to get a transition style. Slider can be creating from posts, images, combination of text and images and videos. It is very powerful in terms of features and options. There are many transitions and styles including Parallax style which moves based on the mouse movement engaging the users in a much better way. There are 13 unique skins and 3 navigation types. With this many features, it is easy to choose LayerSlider no matter what type of website you have. And it is responsive too which means it will work great on mobile devices as well. 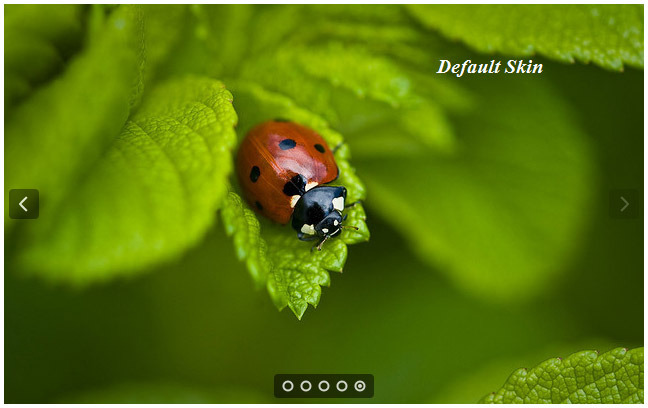 RoyalSlider is known for its gallery and HTML slider features. It has more than 10 templates and around 5 skins that you can use, which is much lesser compared to other plugins. However the styles are solid and should suit most users. 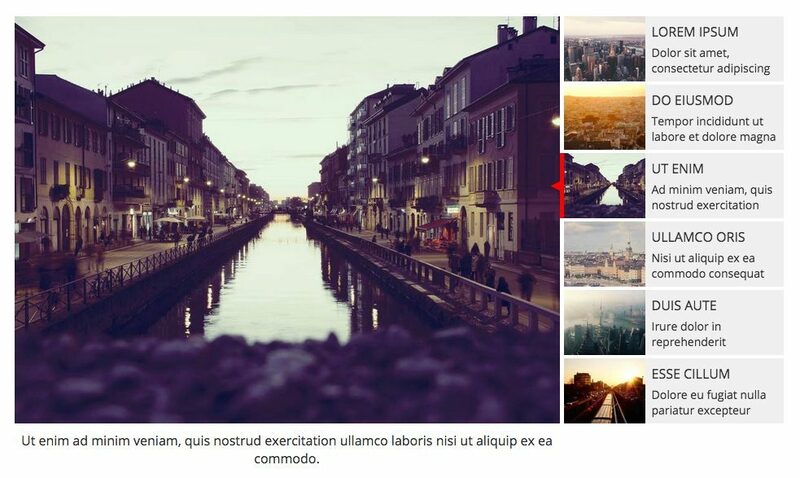 There are gallery style sliders, content-based sliders and video based sliders. Gallery-based slider is for creating a nice-looking image gallery which is idea if you are a photographer or designer and need to show your work. It should work for many other types of images too. The content slider is very nice in this aspect that you can put any HTML content (just like you normally create a page) which may include text, images or both. So it is very good when you need to show posts with or without a summary. There is a gallery with full screen option which lets the user scroll images as a full-screen slideshow. Another very nice style is Slider with Animated Blocks. In this style, you can place any text, HTML or images and they will show as animated flat-background blocks. It is a very professional style which is great for websites with flat design. In short, you won’t get tons of features or transitions, but those that you get are very nice and professional. Slider Pro is another cool WordPress slider plugin and the best thing about it is that it was built with user experience in mind. The result? It is really great in terms of UI and gives a great user experience. Easy to use controls and powerful features are what Slider Pro is known for. There are only 5 types of sliders but all these styles are customizable and have all the important features you might expect from a slider plugin. It includes lightbox support, responsive touch interaction, auto-scale layers and the ability to use mixed content in the slides. 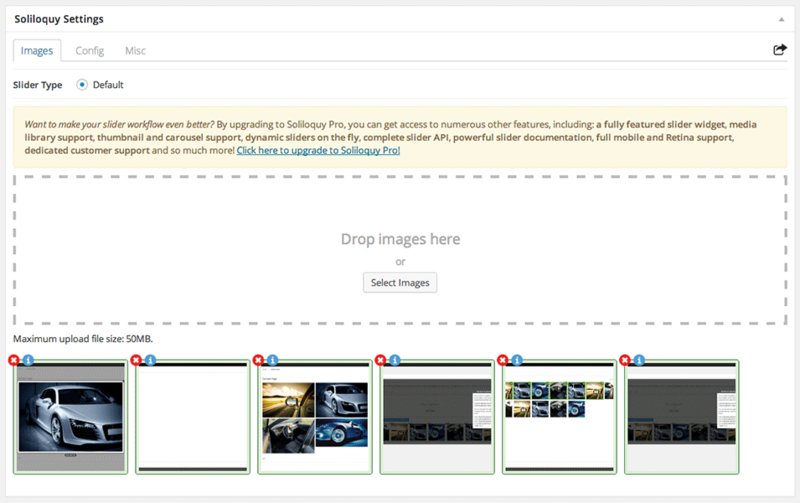 Soliloquy Lite is an amazing free WordPress slider plugin. It is the free version of the Soliloquy Pro which is the premium version. Even the lite version offers tons of great features and is better than most of the free plugins out there. The slider offers a responsive, super-fast and high performance system for creating and showing your slider. It is even SEO optimized and has great, clean code which will make the working and performance even better. In short, this plugin is indeed among the (if not, the) best free slider plugins you can find!